We are suckers for a long sleeve gown!! Even she couldn’t hold back her tears as she looked at herself in the mirror on her big day. 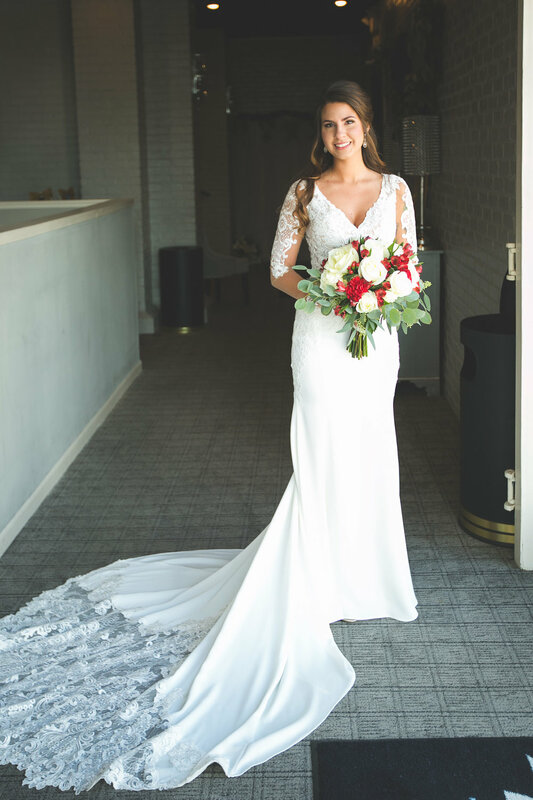 For her flowers, Ashley worked with Main Street Florals in North Judson to create beautiful bouquets for herself and her bridesmaids! 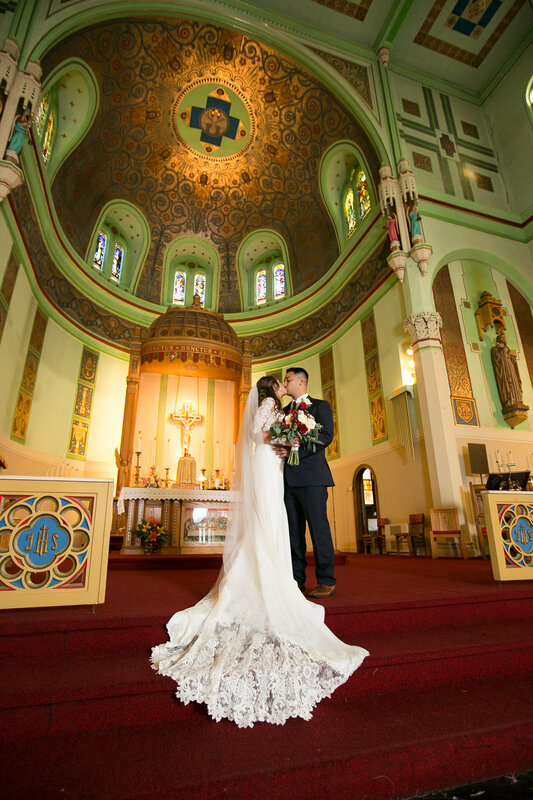 Ashley married her husband Michael at St. Stanislaus Catholic Church in Michigan City. This church is beyond beautiful! For the reception, guests headed to the Uptown Center. How cool is this venue? It never disappoints! Ashley made all of her own centerpieces and decorations…can we get a round of applause?? How did the newlyweds meet? How did Michael pop the question? Was it a surprise or did she know it was coming? I asked Ashley to tell me all about her dress buying experience. 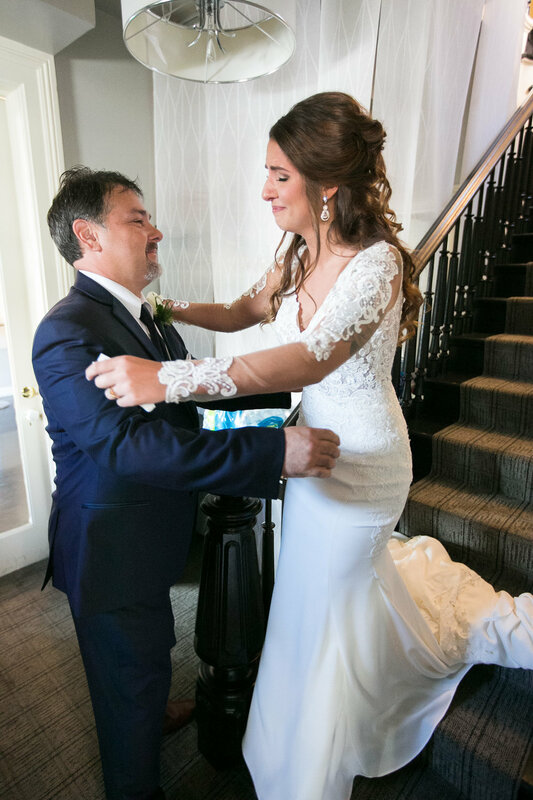 “The moment I walked into Something Blue I knew that I was going to walk out with the most gorgeous dress. The staff is wonderful and very helpful. I believe I tried on 10 dresses and I never felt pressured into buying or rushed to get out. I do not live in the area and the staff worked well with me on appointment times and all fittings! I am completely happy with Something Blue and I strongly recommend this bridal boutique! How did Ashley know her dress was "the one"? Let’s talk wedding planning! What was Ashley’s favorite part? What about her least fave part? The big day had finally arrived! What was Ashley’s favorite moment? 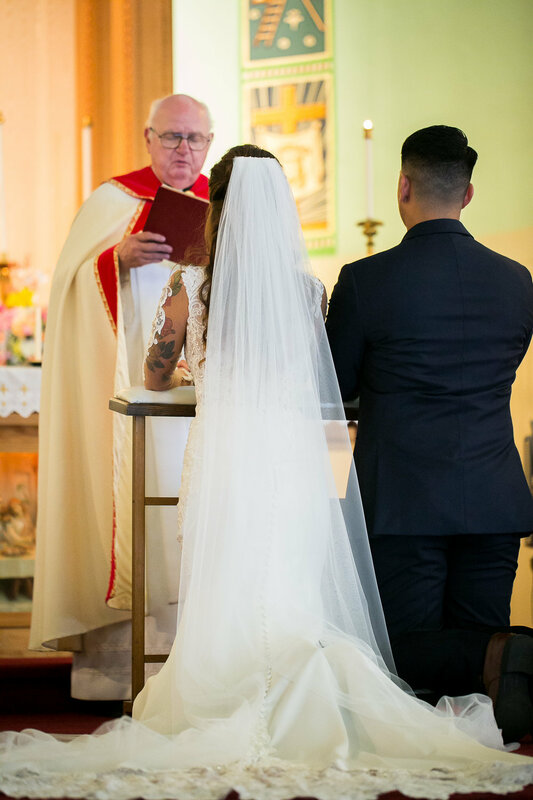 Any advice for SBB brides planning their own wedding? 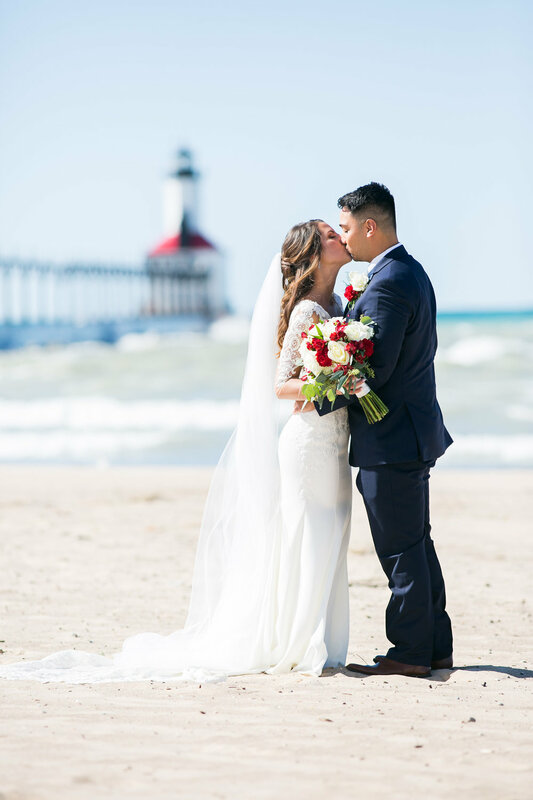 Thank you so much for sharing your special day with us, Ashley and Michael!! 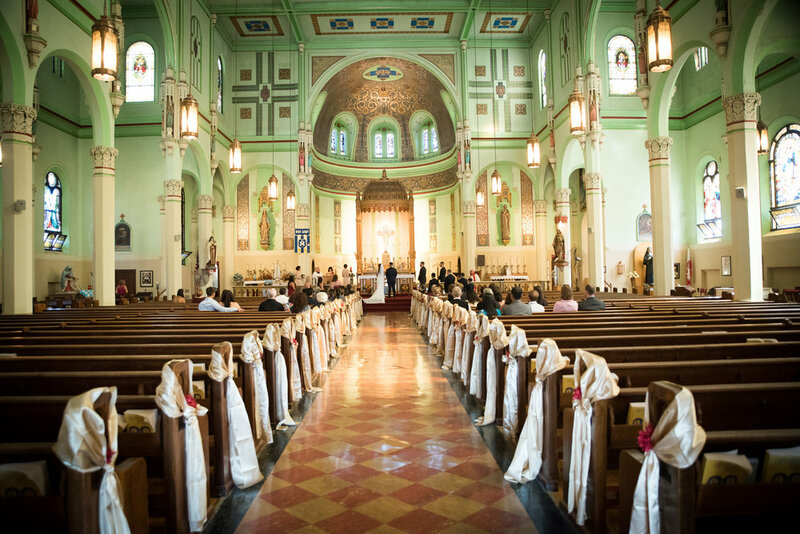 Check out more of their wedding pictures in the gallery below!